NEW BRITAIN - The Hardware City could join several municipalities across the state and country Wednesday when the Common Council meets to vote on an ordinance prohibiting single-use plastic bags in New Britain. The Common Council meets Wednesday night to vote on the resolution, which would add and ordinance banning non-recyclable bags in the city. The resulting ordinance would prohibit retailers from selling, providing or distributing non-reusable plastic bags in their stores. It would also bar retailers from offering paper bags unless they are recycled or recyclable. If a retailer wants to provide permissible paper bags, the bags would cost customers 10 cents each. The resolution would be effective six months after its adoption to give retailers a chance to dispose of their current single-use plastic bags and convert to alternative materials. There are a few penalties listed for retailers that don’t abide by the potential new ordinance. On the first violation, a written warning notice will be issued to the business with no penalty. For the second violation, retailers will be fined $99, then $250 for each subsequent violation. No more than one penalty will be imposed upon any retailer in one 24-hour period. Last week, the council’s Committee on Administration, Finance and Law discussed the ordinance. A bipartisan group of aldermen spoke highly of the resolution before forwarding it back to the full Common Council for a vote. n Vote on whether or not to hire John Lynch as a private contractor to review and analyze the city’s TimeClock Plus system. According to acting Director of Support Services Paul Salina, there have been issues with the program ever since the city purchased and installed the system years ago. Now, officials want to bring in an outside contractor to evaluate the system to make sure it meets requirements. Should the council accept the resolution, Lynch would be paid $65 an hour not to exceed a total of $35,000 for his work. n Potentially issue the Polish American Foundation of Connecticut a license for the annual Little Poland Festival scheduled for 10 a.m. to 6 p.m. on Sunday, June 2, on Broad Street. The organization is also requesting that the New Britain Police Department allow the closure of Broad Street from Gold Street to Washington Street and the closure of Grove Street from Orange Street to Lyman Street. Horace Street access to Broad Street would also be closed. n Potentially issue the Holy Cross Church, a license for its annual bazaar/carnival scheduled July 11-13, at 221 Farmington Ave. 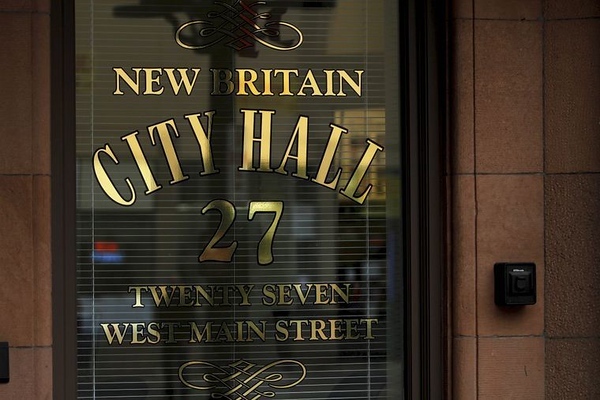 The Common Council meeting is scheduled for 7 p.m. in Council Chambers, City Hall, 27 West Main St.
Posted in New Britain Herald, General News, New Britain on Monday, 11 February 2019 19:58. Updated: Monday, 11 February 2019 20:01.